It's been way too long, but I finally made it through the hardest ordeal in becoming a DM: finding a group. Since moving away from my earlier RPG friends, friends I've been rolling d20:s with since high school, it's been a struggle to get even the most basic game nights going. DnD is challenging in that way. Where Ticket to Ride, Smallworld and even Descent manage to infiltrate even the most conservative dinner party nowadays, DnD requires so much more of its players. Although I am constantly surprised that DnD passes as conversation topic during lunch hours at work, I find that the amount of time and devotion the game requires also turns most aspiring adventurers away. Where no other edition of DnD has caught my fancy since picking up AD&D on a trip to London in the nineties, 5th edition seems tailor-made for me. For me, it's an enabler. The rules make it easy to get a story going, giving the players suitable goals and ambitions on-the-fly and not bogging down completely when it's time to roll for initiative. I hope to elaborate on all these topics in future posts, as well as giving fellow DMs my view of running a game and sharing some tricks of the trade. 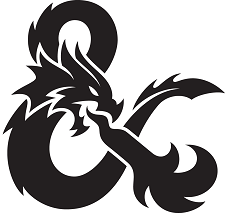 Anyway, now that I've got a new group of old friends I'm a happy camper again and will look forward to a monthly sunday full of hit modifiers, XP budgets and, of course, new stories. Sword Coast Junkie is my blog devoted to the 5th Edition of DnD and I invite you all to come along on our adventures.